Update: Now Available on Amazon UK & Amazon Germany as well. (courtesy of Nintendo Everything). Amazon US & Amazon Canada has opened up Pre-orders for the Deluxe Edition of the Zelda Encyclopedia which launches April 24th next year. 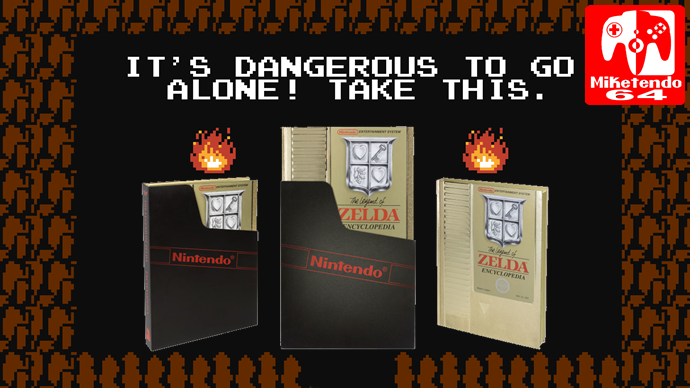 The main difference between the standard hardcover and the deluxe is the Deluxe edition is designed like the Gold Cartridge of the original Legend Of Zelda for the NES. It comes with a gold foil paper with gloss laminate and a gritty finish. It also includes embossed ridges much like the cartridge and is finished of with the Legend Of Zelda NES label and tucks away into a black cartridge sleeve with the Nintendo Logo printed on it. That’s not all though as it even comes with it’s own instruction booklet which comes with theme appropriate material inside. I am torn between which version of the book I am going to get now. I was happy with going with the standard Hardcover to match in with the other two books I have, Hyrule Historia & Art & Artifacts, but that gold finish and beautiful design of the Deluxe edition may make me want to buy both. I think I may have to take out a second mortgage!